Insight Observatory's Astronomical Telescope for Educational Outreach (ATEO) is ready for first light! 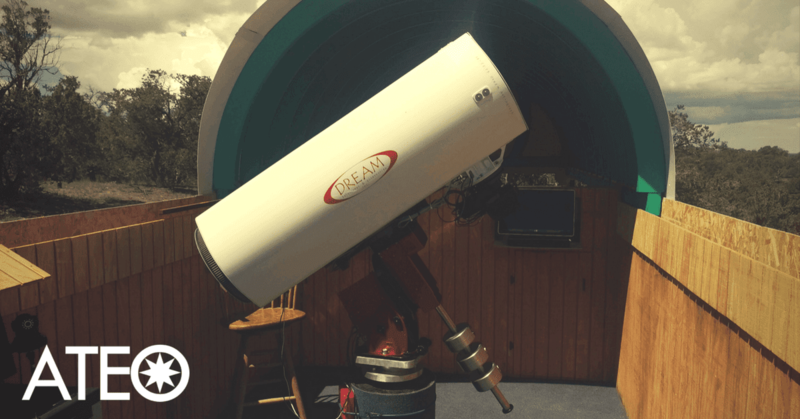 The six-year dream and vision we at Insight Observatory had to setup a remote online telescope for educational and leisure purposes are now complete. 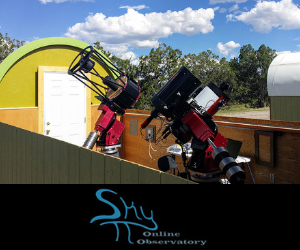 Special thanks to our telescope's host at SkyPi Online Observatory for being the professionals they are in helping to fulfill our dream. Their persistence and skills to complete the installation were second to none. John Evelan, a Managing Partner of SkyPi, was instrumental in upgrading the FLI PDF focuser on the 16" astrograph imaging telescope for more precise focusing. The Astronomical Telescope for Educational Outreach (ATEO) Ready for First Light. Photo by Caleb Ramer. After collimation of the mirrors and polar alignment were completed, the crew at SkyPi completed the final tasks of a T-point run. This is where the TheSky (the software that controls the mount for the telescope) captures images all over the sky and then makes a "model" of how accurate the telescope is pointing. Later on, during normal usage, TheSky software will use this model so that pointing is accurate no matter where you slew the scope. The next step is to be patient and wait for the weather to clear up in New Mexico. Unfortunately, it is monsoon season there now and the skies are not cooperating so much. However, the forecast is calling for clearing skies for most of the upcoming week. 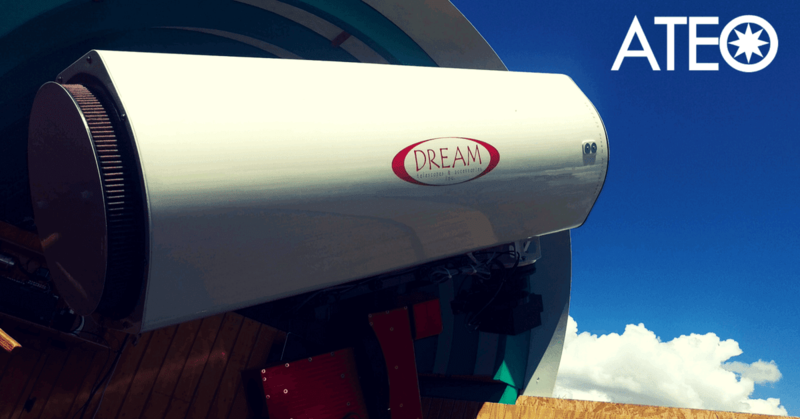 The Astronomical Telescope for Educational Outreach (ATEO) Awaiting for Clearing Skies. Photo by Caleb Ramer. Our goal will be to test the system thoroughly utilizing the TheSky software directly from the computer. 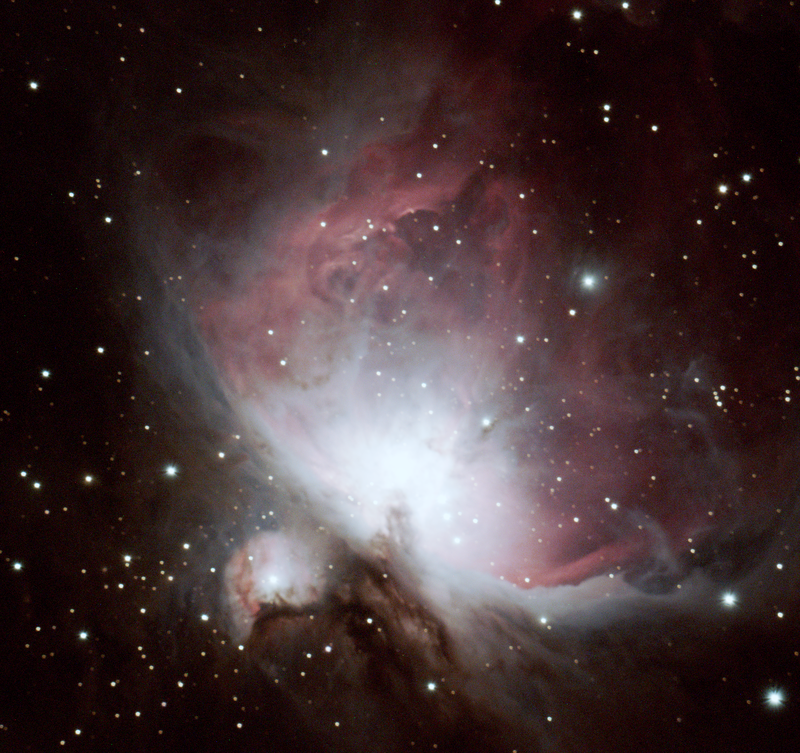 When we are satisfied that everything is functioning, we will then integrate with the ATEO Portal that our systems engineer, Muir Evenden, has developed to allow the remote telescope system to be accessible to the public via the internet.